On April 19, 1993, citizens across the U.S. tuned into the national news stations to witness the gruesome end of what had been a 51-day standoff between federal agents and David Koresh’s Branch Davidian in Waco, Texas. The standoff began in February after a deadly shootout left four federal agents and six members of the congregation dead, effectively leading to a series of negotiations and fear-tactics which would span several weeks. Citing the illegal stockpiling of weapons, federal agents continued to put pressure on those inside the church, using sleep deprivation tactics such as floodlighting the compound and playing the sounds of rabbits being slaughtered to coax members out. 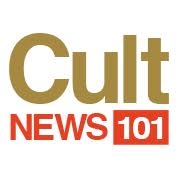 By April 19, agents used tanks and military-grade tear gas to infiltrate the building as a fire broke out, engulfing the religious cult leader Koresh and over 75 of his men, women, and child followers. Most of them died in the smoke and fire, though Koresh was among those who were shot by fellow cult members. And the memory of that gruesome day is set to be highlighted in Paramount Network’s new miniseries “Waco,” although Koresh’s half-brother and former Davidian, Roger Haldeman, admitted he wouldn’t be watching. The Chandler, Texas, drifter and younger brother has spent much of the past 25 years behind bars from charges of drug possession and theft, yet Haldeman spoke out for the first time to DailyMailTV about his brother, insisting the former cult leader was anything but a monster. Yet, “what it was about,” and the suspicion of authorities — from illegal weapons to taking girls as young as 12 as his “wives” — are two starkly opposing realities. Although Haldeman has remained adamant regarding his innocence of illegal weapons, he was aware of the cult’s “House of David,” or Koresh’s harem. Haldeman admitted that, while he was accepting about the polygamy, the unease grew after learning how young many of the girls were and the fact that Koresh would take other men’s wives — all by the authority he’d had over his congregation. It is assumed that Koresh had fathered at least a dozen children through these “spiritual wives,” most of them dying along with him in the 1993 standoff. Yet, for Haldeman, the memory of his brother will always be different than that of the world that watched on.